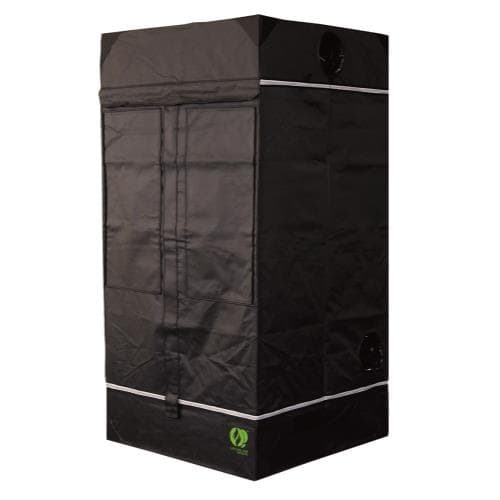 The GrowLab™ Horticultural Grow Room has all the features you could ask for – and more! 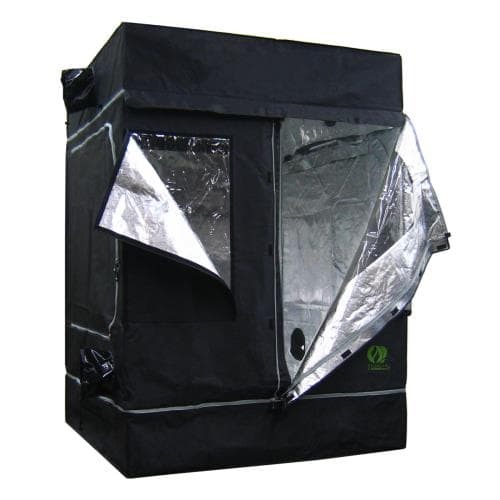 Outfit the GrowLab™ with the ventilation fan, lighting system and growing system of your choice and you will have the brightest, slickest, most affordable grow room available. 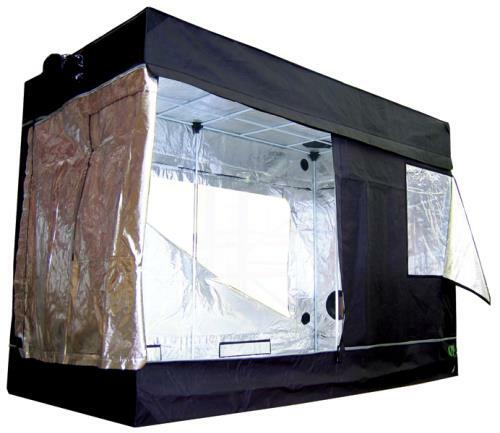 Introducing the next generation in portable grow rooms – The GrowLab™ Horticultural Grow Room. See more details on the next page. Here are just some of the unique and exciting features you won’t find elsewhere. Clear viewing windows on all models except GL40, GL60, GL240 & GL290. 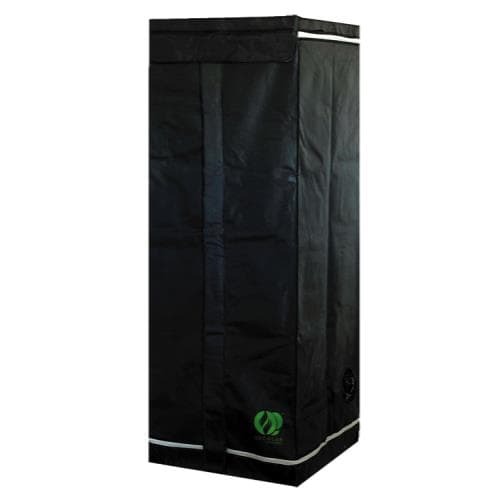 Increased weight capacity with roof cross-members easily support 100 pounds. Sturdy powder coated framework helps protect against rust and gives a cleaner look; thicker than previous models. Highly reflective interior for significant increase in reflectivity for improved lighting performance. Thermally protected tent material reflects 97% of all radiant heat for superior insulation. 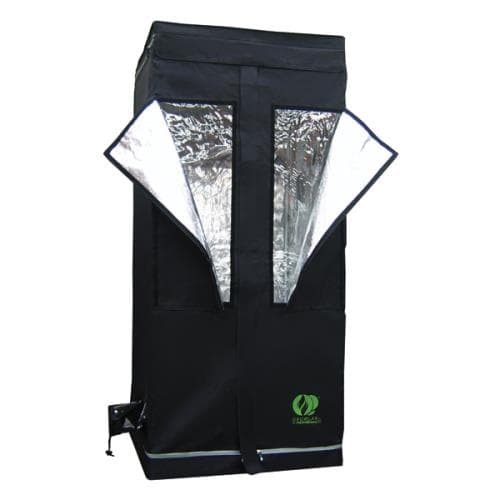 Completely non-toxic and will not react under light and heat and no off-gassing to harm plants. 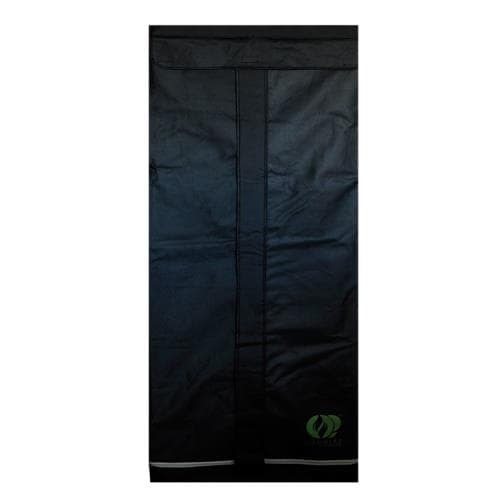 Improved fabric & zippers that are thicker fabric than previous models, with the best zippers on the market. Moveable roof cross-members that easily adjust lighting and accessories; pieces snap into desired place for better functionality. Multiple intake/exhaust ports including two ports opposite each other at reflector level for air-cooling of lighting system on most models. Adjustable fan and ducting attachments so no more clamps or reducers needed! 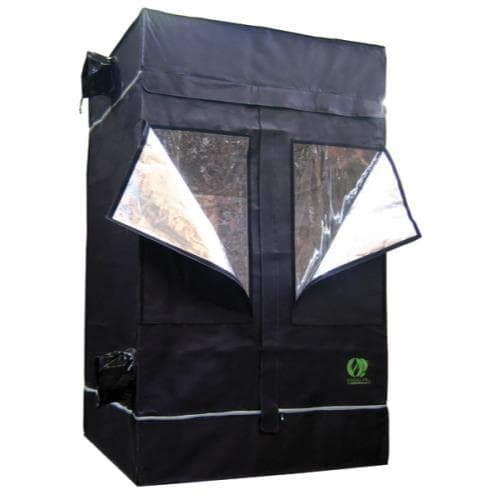 Waterproof floor features a second floor that is removable for easy cleaning between crops.